Manchester United’s pursuit of Gareth Bale may yet end in failure once again this summer as reports suggest that he has held positive talks about his future at Real Madrid, as reported by Daily Telegraph. The Welsh winger, who turned 29 yesterday, had prompted fears of his future in Spain; he highlighted a desire for regular football in an interview that followed his two-goal heroics in the Champions League final back in May. It seems, however, that he has been given reassurances that he is still much needed. We have emerged as a club that would be willing to bringing the former Tottenham winger back to the Premier League, but recent talks with the Madrid hierarchy and new manager, Julen Lopetegui, have left Bale assured of his regular place in the starting eleven. He struggled to break into the team last season, as former manager, Zinedine Zidane preferred the likes of Isco and Marco Asensio to him. Despite playing from the bench most times, Bale still managed to score an impressive 21 goals in all competitions, the second highest at the club only behind Cristiano Ronaldo. The main man’s exit for Juventus means that Bale has been tipped to become the central figure at the club, although it is believed that Madrid want to sign Eden Hazard this summer. 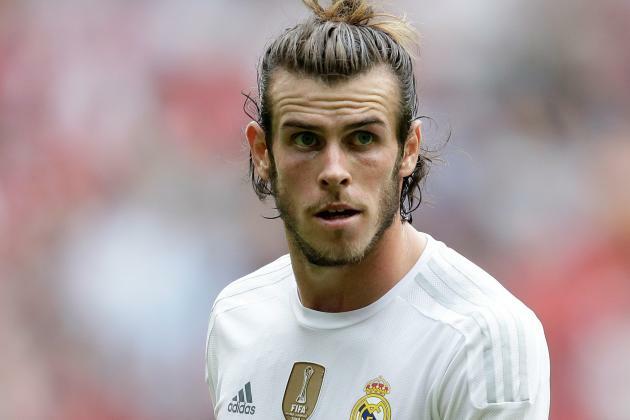 Jose Mourinho has long been an admirer of Bale but with this latest development, United will he advised to look at other targets as we look to mount a consolidated attempt at winning major honours come next season. Bale will be looking to lead Madrid to a new era following the exit of club legend, Ronaldo who moved to Serie A with Juventus after scoring a whopping 450 goals in 438 matches. Lopetegui is believed to have assured Bale or his importance to the team and how he is looking forward to working with him in the forthcoming campaign. Bale joined Madrid in the summer of 2013 for a then world-record fee of £89m and has since scored 88 goals in 188 matches for the 13-time Champions League winners. Next : Toby Alderweireld to Manchester United?